Choosing a personal injury attorney in Pomona, CA to represent you may be one of the most important decisions you’ll make after suffering a serious injury. Regardless of how you were hurt, The Paris Firm and our more than two decades of experience is standing by to take your call and meet you at your home or the hospital if you cannot come to us. The city of Pomona is dear to our hearts, in fact Mr. Paris started his practice in the city on Thomas Street over 20 years ago before moving to Chino Hills. When you call us, you’re calling a law firm that has roots in the local community and goes above and beyond for their clients. At a time like this, you need a Pomona injury lawyer that you can trust. You need an attorney who can answer your questions, guide you through the legal process, and set your feet back on solid ground. Most of all, you need an injury lawyer who puts your best interest first and has the experience to anticipate the insurance lawyer’s next move. 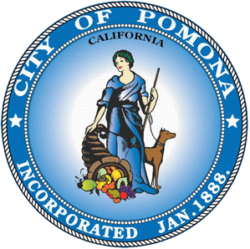 If you have a simple property damage claim against the city of Pomona, you can go here and fill out a claim form as long as it’s within 6 months of the incident. However, if there were any injuries involved in any incident the first thing you should do is call The Paris Firm, a personal injury law firm serving Pomona with over 26 years of experience @ 909-551-4040. 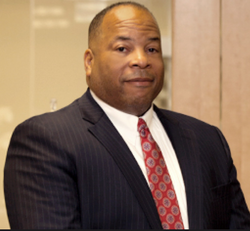 Why Choose The Paris Firm as Your Pomona Injury Attorney? The Paris firm has handled thousands of personal injury cases over the last 26 years, yet we have managed to keep a “hand’s on” approach and maintain personal attention with each of our cases. When The Paris Firm appears on a filing, the insurance company knows that your claim won’t just go away. We’ll fight vigorously to get you the maximum amount you and your family are owed. If you want to ensure that you’ll get fair treatment and that your case is handled with urgency and priority, contact The Paris Firm today.